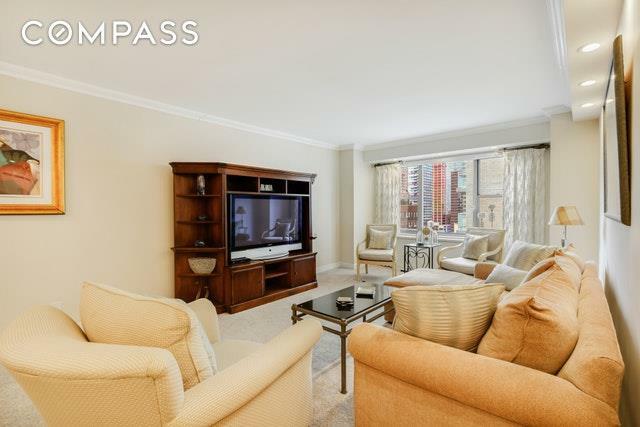 MOVE RIGHT IN!Beautiful and spacious one bedroom with bright western and south exposure at the inimitable Plaza 400. 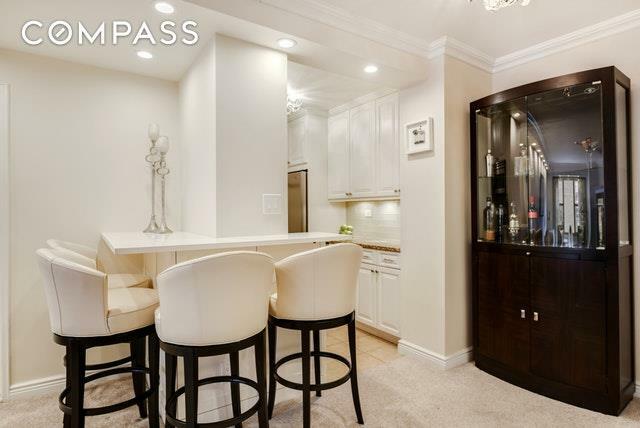 There is a wonderful granite kitchen with stainless steel/black appliances, including a wine fridge, glass backsplash, and beautiful cabinetry. A built-in eating bar which comfortably seats 4 extends from the kitchen. The living room is extraordinary accommodating a large couch with chaise lounge and potentially even 5-6 comfy chairs. There is also a separate area for a home office/desk. Bring your king-size bed and find 2 walk in closets in the bedroom along with a nighttime view of the iconic Chrysler Building. The bathroom, with seamless glass shower enclosure and vanity with shelf, is tiled floor to ceiling with smooth and elegant travertine stone. MAINTENANCE INCLUDES ELECTRICITY! Sorry no pets or W/Ds. PERFECT PIED--TERRE! The Plaza 400 is a stunning, white glove coop. There is a splendid, private crescent driveway. One is greeted by a doorman and concierge. The dramatic lobby has an expansive waiting area for guests. Onsite management office and large mail/package room. 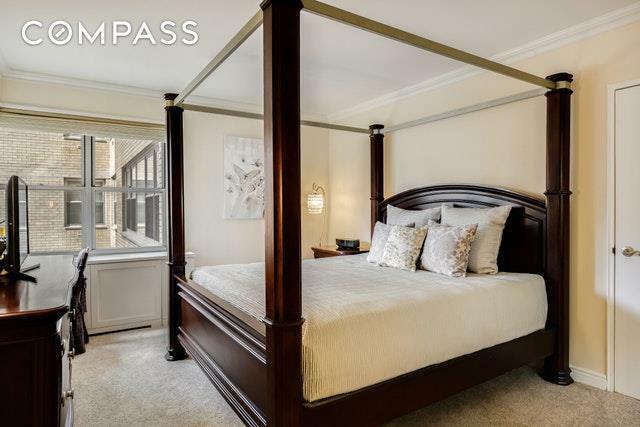 Amenities include: an outdoor SEASONAL heated rooftop POOL, roofdeck, Skytop Lounge, new fitness center, childrens playroom, bike room, storage room. 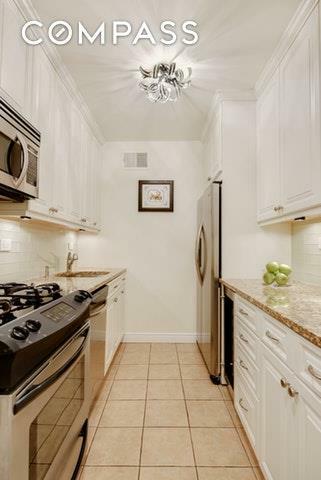 Onsite garage with special resident rates. Sutton Neighborhood is one of the best and most convenient in NYC! Whole Foods around the corner along with other wonderful shopping and restaurants up and down First Avenue. Sutton Place offers cul de sac benches riverside and a small park at 54th Street. Crosstown to the theater district and Lincoln Center. All of Manhattan is virtually at your feet!